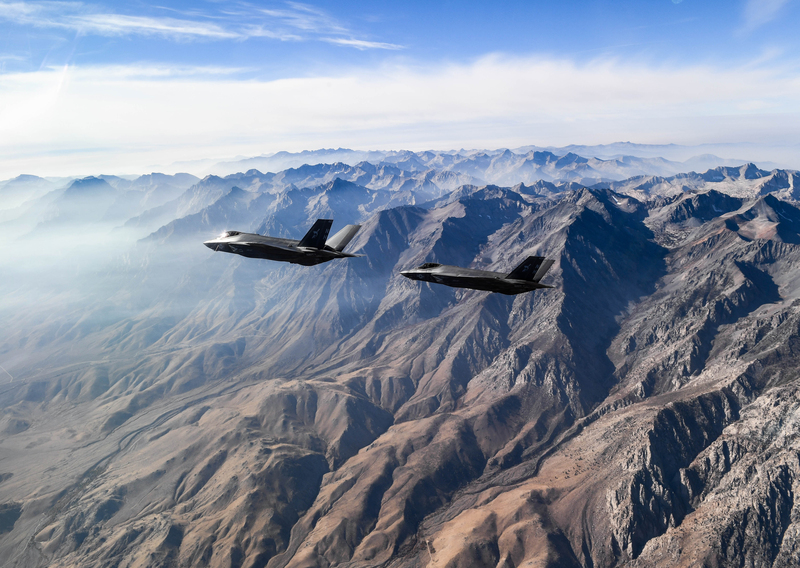 Two F-35C Lightning II fighter jets, attached to the “Argonauts” of Strike Fighter Squadron (VFA) 147, fly in formation for a photo exercise in Lemoore, Calif., Nov. 16, 2018. VFA-147 is the first U.S. Navy Operational F-35C squadron based out of Naval Air Station (NAS) Lemoore. US Navy photo. Capt. 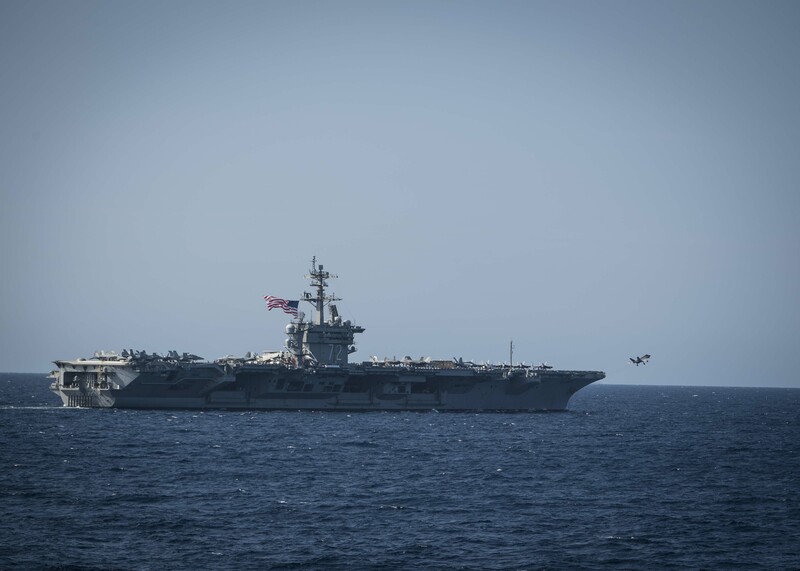 Max McCoy, the commodore of the squadron, told USNI News in a recent interview that having a single point-person overseeing all Navy efforts related to operating and maintaining the new airplanes will prove to be a smart decision. “The F-35C is unlike any other airplane we’ve had to date. It brings unique capability; how we sustain and maintain it is different; and it offers new ways of training our pilots to fly it,” he said. In many ways, the JSF Wing will operate like any other type wing in the Navy that oversees any of the other planes or helicopters in the carrier air wing. McCoy oversees all the F-35C squadrons and reports directly to the Commander of Naval Air Forces. However, whereas the other communities have an East Coast and a West Coast wing, the JSF Wing in Lemoore will be the sole wing, to ensure the growing F-35C community has a single voice and a single path forward as the Navy learns best practices for operating, maintaining, sustaining and manning the fleet. 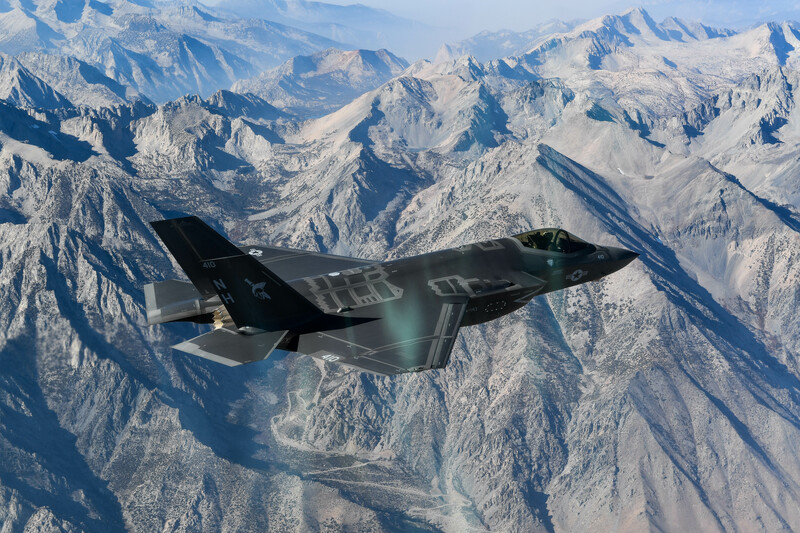 A first priority for the new wing, which formally stood up on Oct. 1, is getting Strike Fighter Squadron (VFA) 147 ready for operational testing and an initial operational capability (IOC) declaration early in 2019. 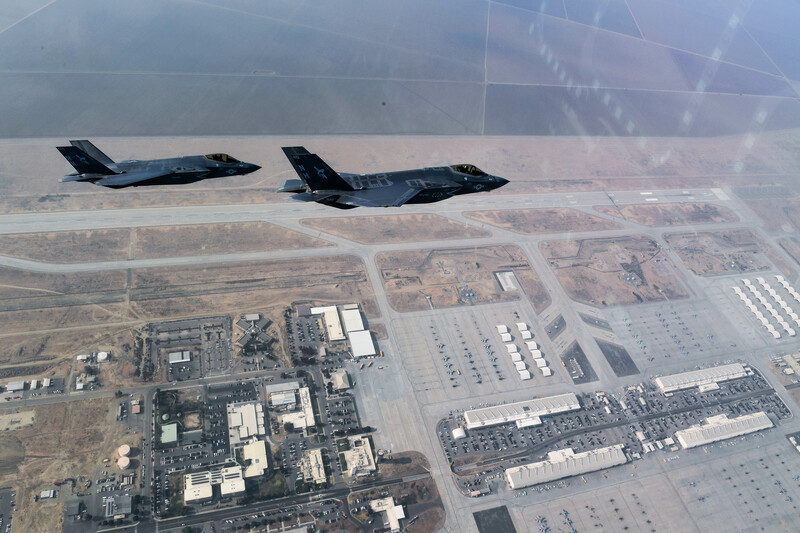 Two F-35C Lightning II fighter jets, attached to the “Argonauts” of Strike Fighter Squadron (VFA) 147, fly in formation for a photo exercise in Lemoore, Calif., Nov. 16, 2018. US Navy photo. VFA-147 will pave the way for the fleet as the squadron to go through the IOC process and then the first to deploy. McCoy said the squadron is fully manned and operating like any other squadron in the Navy. Pilots have been conducting field carrier landings ashore, ahead of heading out to sea to conduct carrier qualifications on USS Carl Vinson (CVN-70). Once all the pilots are carrier-qualified in early December, the squadron will be declared safe for flight “and then they’ll be off to the races operating” ahead of their formal testing. Once IOC is declared, VFA-147 will have to ensure all its pilots have redone all their certifications – an F/A-18E-F Super Hornet pilot transferring to the F-35C cannot transfer over any certifications and must requalify before the first deployment, due to the aircraft being so different, McCoy said. The squadron will be focused on completing those qualifications quickly so they can move on to workups and eventually a first deployment as part of a carrier air wing in 2021. An F-35C Lightning II launches from the flight deck of the Nimitz-class aircraft carrier USS Abraham Lincoln (CVN 72) on Aug. 30, 2018, in preparation for a photo exercise in support of dual-carrier sustainment and qualification operations with the Harry S. Truman Carrier Strike Group. US Navy photo. McCoy and the JSF Wing are not solely focused on that squadron, though. They are overseeing the work of two Fleet Replacement Squadrons to train both brand new pilots and those transferring from other plane types. They are working with test pilots and Top Gun pilots to sort out tactics and best practices. They are working with the F-35 Joint Program Office and manufacturer Lockheed Martin to nail down maintenance and logistics issues. And they are coordinating with resource sponsors at the Pentagon and with F-35A and B leadership in the Air Force and Marine Corps to log lessons learned and best set the F-35C program up for success now and down the road. For a job that requires so much multitasking, the Navy picked the right person. McCoy’s biography shows an intimate knowledge with the F-35 and the counterparts he’ll have to work with during this assignment. The former Blue Angels pilot has commanded a strike fighter squadron and a carrier air wing, worked as an F-35 requirements officer for the director of air warfare at the Pentagon (OPNAV N98) and served as vice commander of the Air Force’s 33rd Fighter Wing. McCoy told USNI News he looked forward to being able to take feedback from his operators, compare it with what his joint and international partners have seen, and then pump that knowledge into the requirements and budgeting process. An F-35C Lightning II fighter jet, attached to the “Argonauts” of Strike Fighter Squadron (VFA) 147, flies in formation for a photo exercise in Lemoore, Calif., Nov. 16, 2018. US Navy photo. For now, there’s still a lot to learn, but McCoy said the F-35C maintainer base was growing quickly and that pilot production should accelerate soon too. The F-35C community is about 400 or 500 strong, with more than 50 pilots to date. “Right now we’re small in the sense that we’re a small community in the Navy, we’re building experience with our sailors and our pilots, we’re getting more aircraft,” McCoy said. On the maintenance side, he said, the F-35 program is nascent enough that Lockheed Martin and the JPO are still shaping maintenance and logistics are handled for all the services and for international partners.